As you can see, I’ve been purging. In my middle box, everything got torn up except for 2 squares of onions. 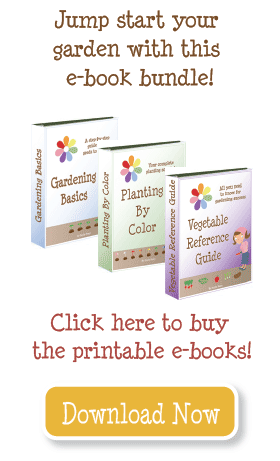 I replanted green beans, broccoli, cabbage, carrots, and peas. 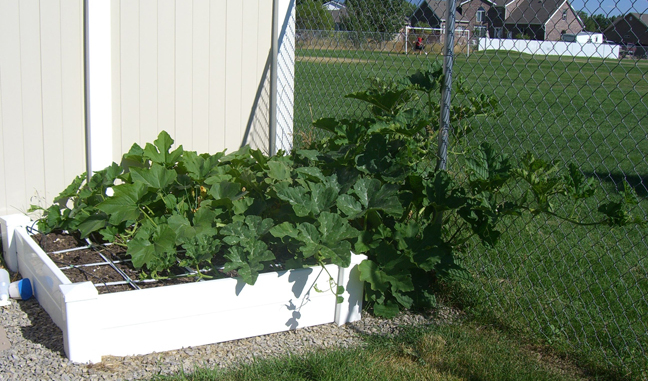 My pumpkins are the only things left in the right box–and they are taking over! I planted 2 squares on the far right, but the plant closest to the grass grew faster than the one by the back fence. So my intentions to trellis them on the chain link fence have been halfway thwarted. Truth is, those darn squash just take up a ton of room! I have a friend who trellised hers on an actual trellis, weaving it up and down. I want to see it for myself, but then I may try it! 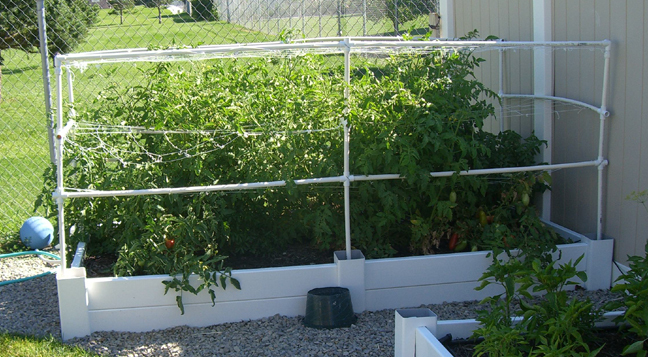 Here’s another angle of my left box–growing tomatoes and cucumbers on the trellis. When the tomatoes reach past the top, I pinch off their growing tips. Here are my bush tomatoes. I have 3 layers of netting that they are growing through. So far it seems to support them really well. 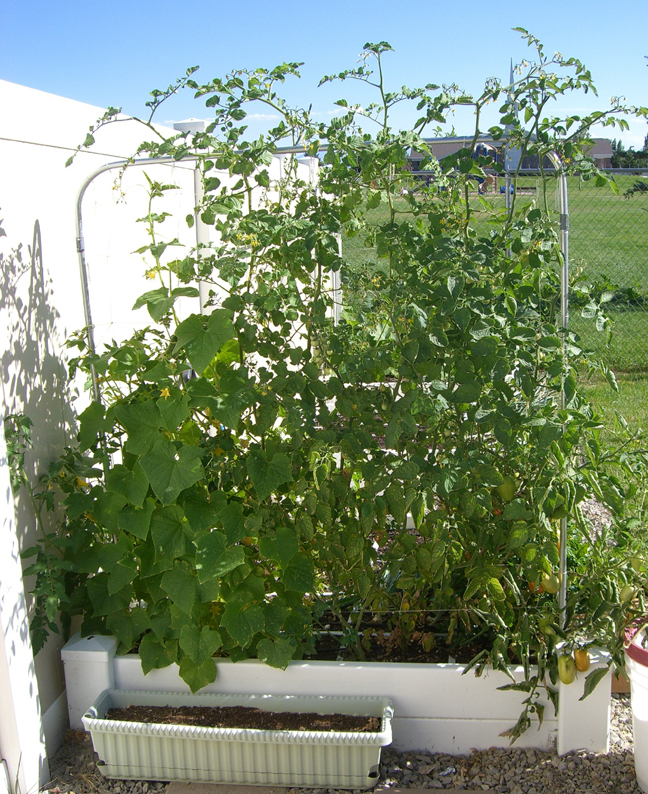 If anything, I might put the bottom layer a little lower (some of my tomatoes are on the ground, and maybe this would fix that), and add a little more space between layers. Finally, my peppers. The plants are not so big, but each one has produced 3-4 already, and they’re growing another batch as we speak! I notice that you have a chain link fence. My back yard is very shaded and the soil, despite years of amending, is not good. I finally realized that if I were to have any luck in gardening, I’d have to do it in my front yard. This is just not how it is done in America, you know? I decided to plant cucumbers to grow up my chain link fence. What a success!! I gave away many and ate some everyday. The next year, I decided that I really didn’t need that many cucumbers, so I planted some peas and pole beans along the fence. Again, a huge success. The other thing that I have done relative to planting along the fence is to lay a drip hose along the fence and set a timer to run for about 10 minutes a day. I think my front yard will be my victory garden because I had such success with growing there. So many plants like to climb and I used my not attractive for a front yard chain link fence to help and wish I had done so years earlier. 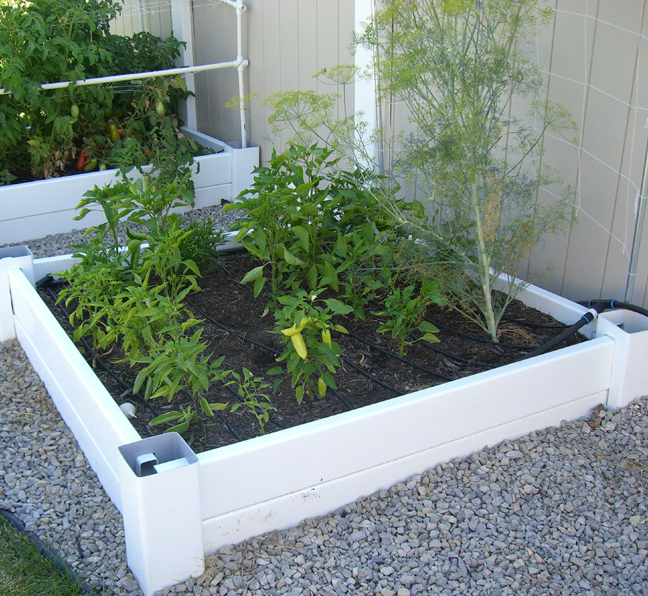 Not square foot gardening, chain link fence gardening. I found the tomato pictures–so please disregard the first reply! I had to leave four square feet for my cabbages and planted smaller stuff around them. 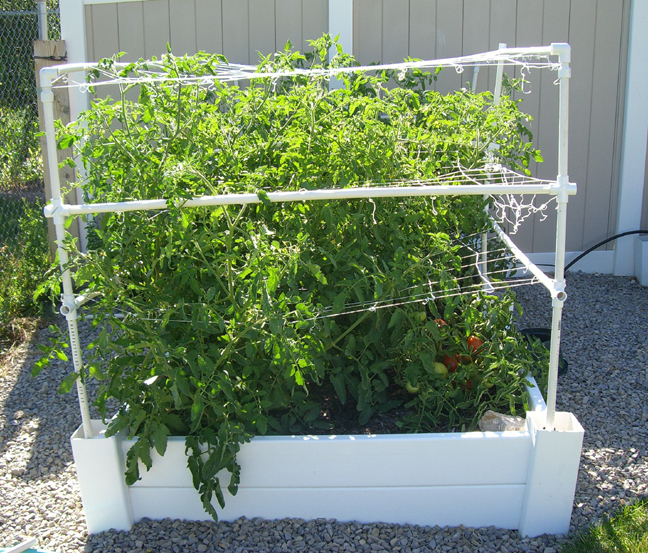 Carrots, peas, onions, beets, small white turnips and the like go well with the single square foot method, I suggest green and yellow pole beans along the chain link fence, they’ll grow right to the top and give a good yield, but they cause some shade so be careful with sun direction. Good luck, and happy gardening!